Akshay Kumar's Gold "continues upward trend" at the box office after witnessing a slump on the second day, Box Office India reported. 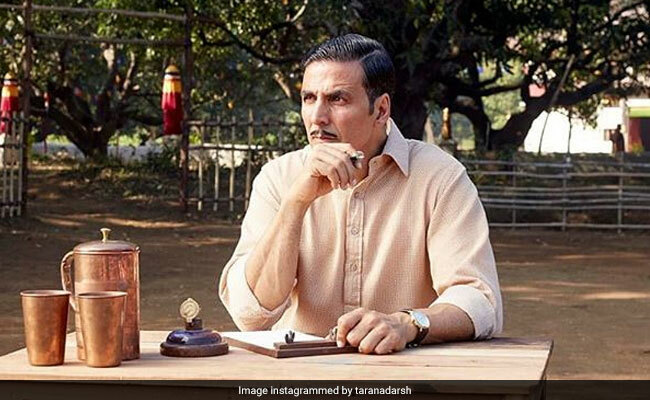 Despite its low business on Day 2, Gold has managed to collect Rs 12 crore on day 4, adding Rs 55 crore to its grand total, Box Office India reported. Gold collected over Rs 25.25 crore on opening day and added Rs 8 crore on the second day. According to reports, the Reema Kagti-directed film has been performing well at the multiplexes and is scoring over John Abraham's Satyameva Jayate, which also released on the same day. "The business of Gold is Rs 55 crore nett plus in four days which is decent but 45% of that business has come on day one with was the national holiday for Independence Day," Box Office India reported. Bollywood trade analyst Taran Adarsh tweeted about Gold's "extraordinary" performance at the box office. "Gold has an extraordinary Day 1. Takes a fab start at multiplexes across major centres. Wednesday Rs 25.25 crore (India business)," he wrote. #Gold has an EXTRAORDINARY Day 1... Takes a FAB START at plexes across major centres... Wed Rs 25.25 cr. India biz. Akshay Kumar's Gold and John Abraham's Satyameva Jayate both released on Independence Day. The films have managed to book a spot on the list of top five biggest openers this year. The list is headlined by Rajkumar Hirani's Sanju. Hindi films... Hollywood films not included. Film critic Saibal Chatterjee, in his review for NDTV, gave Gold 2 out of 5 stars. "Gold is primarily about avenging "do sau saal ki ghulami (200 years of slavery)", so the principal enemy is England, not Pakistan. This is one aspect of Gold that sets it apart from other Bollywood sports films. When the Indians takes on Great Britain in the London Olympic final, Pakistani players in the stands cheer them on. And before Pakistan plays the Netherlands in the semis, the Indian manager goes to the former team's change room and greets the captain, a former protege," he wrote. Gold traces the journey of Tapan Das (Akshay Kumar), a hockey coach, who wishes India to win Olympic gold as a free nation. The film is set in the backdrop of 1948 and also features Mouni Roy, Amit Sadh, Kunal Kapoor, Vineet Kumar Singh.